What’s Wrong with the Chicago Bears? Sunday night’s loss to the Houston Texans gave the Bears just their second loss of the year, bringing their record to 7-2 and still granting them sole possession of the NFC North. Despite their great record and stifling defense, the Bears are far from worry free. Serious concerns about Chicago’s offense are beginning to crop up, and for good reason. Of immediate concern is the concussion sustained by QB Jay Cutler in the 1st half of Sunday’s game, which could possibly be the tipping point for an offense that has already struggled mightily. With Jason Campbell at the helm, the Bears offense goes from a big concern to the deepest depths of ineptitude. So how bad has Chicago’s offense been? They are currently ranked 28th in total offensive yards per game, nestled in comfortably between Seattle (27th) and Cleveland (29th). Yup, a Russell Wilson and Brandon Weeden sandwich. 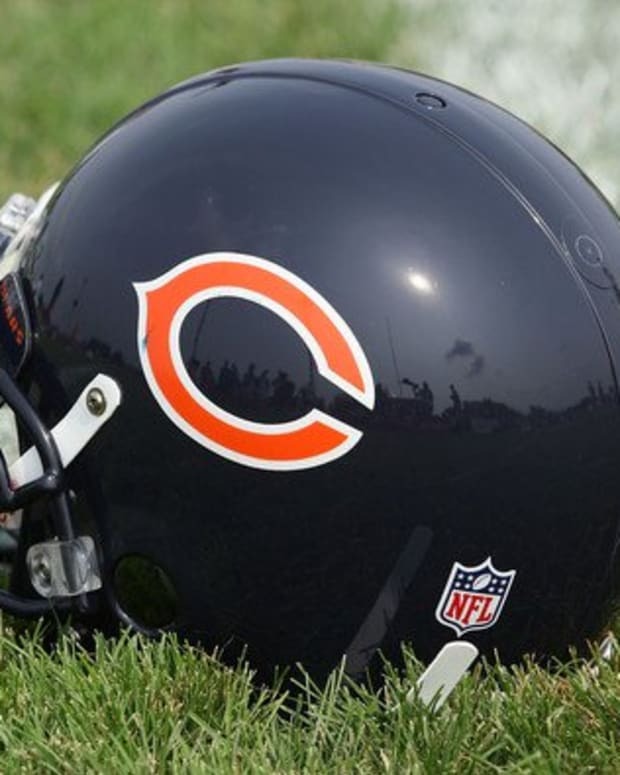 That would be unsurprising if the Bears were not a contender, but with a defense that is head and shoulders above the rest of the league’s formidable fronts they are a decent offense away from being the team to beat in the NFL. The Bears have a top-10 rushing attack (they are ranked 9th in the NFL in rushing yards per game) but are significantly hindered by the league’s 30th best pass attack. Perhaps the most frustrating aspect of Chicago’s offensive struggles is the talent they have on that side of the ball. Few players draw as many mixed reactions as Jay Cutler, but he has proven that he can lead an effective passing attack (albeit with the added bonus of his trademark head-scratching decisions) when in the right situation. They have one of the NFL’s most versatile backs in Matt Forte along with one of the best 2nd string options in the game with Michael Bush. Brandon Marshall provides both a mid-range possession receiver and a deep threat, and despite problems catching the ball, the Bears have other skilled pass-catchers who are capable of making a difference. There isn’t much dispute about the source of the problem. According to footballoutsiders.com, the Bears ranked dead last in pass protection heading into Sunday night’s match with Houston. Despite ranking in the middle of the pack in run blocking, the Bears inability to protect their QB makes their offense two dimensional. It’s hard to stretch the field when your QB gets hit before a skill player can make it 20 yards downfield. The Bears clearly need to make some personnel decisions in the offseason, as well as allowing their injured linemen to heal. In the meantime, though, Chicago needs to find a way to take advantage of the talent they have on offense before that side of the ball squanders a potential playoff run. NFL Analysis: What's Next for Jay Cutler, Chicago Bears? What's Wrong with the Saints?